Well, dear readers, this week is flying by, like a gazelle playing the pennywhistle whilst dancing the Highland Fancy, which, by the way, the gazelle actually dances on Highland (near Sunset). Before I go any further may I just say that for the past few weeks I’ve had a huge craving for pizza, and yet I have not had pizza, despite the huge craving. I wish I knew of a really good, classic pizza jernt near me – I suppose I’ll have to research. About three months ago I did try a couple of slices from nearby Ameci’s and those were not so hot. It would be so nice if there was a place like Dino’s in Burbank – that’s my favorite. Yesterday, I had a huge craving for pizza and did nothing about it. 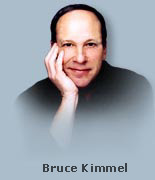 What I did get yesterday was ten hours of blessed and very necessary sleep, not arising until twelve-thirty and only then because someone rang the doorbell, the someone being some guy Grant Geissman knows, who a month ago had given me a CD of his, which I haven’t played due to being a little busy. But the chutzpah of this guy just showing up and ringing my doorbell was a little off-putting, I must say. 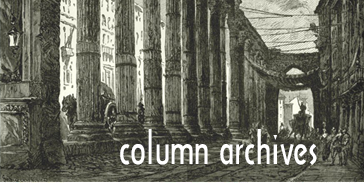 Once up, I answered some e-mails and as soon as I was coherent I began futzing and finessing, and boy did I do a lot of it – fixing typos, adding stuff (quite a lot, actually), subtracting a few things, and just smoothing everything out. Once I’d finished that, which took around ninety minutes, I wrote a couple of new pages. Then, since it was already two-thirty, I went and got Taco Bell, just because it was easy and cheap. I tried something new along with my usual crispy tacos – a seven-layer burrito, which was pretty good, I must say. After I finished that, I went back to writing and wrote about seven pages. Then I needed a break, so I sat on my couch like so much fish for a little while, just zoning out. Then it was back to writing and another three or four pages. Then I watched the rest of Bohemian Rhapsody. The writing gets a little cliched but I enjoyed it for what it was. Rami Malek is very good as Freddy Mercury and since I knew absolutely nothing about Queen or Mercury, it was interesting to see what all that was about. Of course, I have no idea what was embellished or left out, so that’s probably a good thing. It’s interesting to see how many music-related films there were this year. After that was done, I wrote more pages, probably three or four, and I believe that’s fifteen for the day, but I’ll definitely do another three before going to bed. 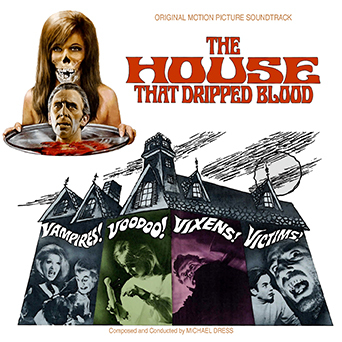 And here is the first Kritzerland release of 2019, the soundtrack to the 1971 film, The House that Dripped Blood, one of those anthology films that were popular with the populace back then. This one starred Peter Cushing, Christopher Lee, Denholm Elliott, Jon Pertwee, and Ingrid Pitt, and was written by Robert Bloch (from his short stories). The music is by Michael Dress, who has a very short feature filmography – just five scores – but who was a very interesting composer. This score occasionally lives in the sound world of Humphrey Searle’s The Haunting, but Dress has a unique voice of his own. Here’s the cover. Today, I’ll hopefully print out a LOT of orders, I’ll futz and finesse, write new pages, hopefully pick up some packages, then at two I get a haircut. After that, it’s more writing, I’ll eat, write, relax, write, and relax. Tomorrow I have a morning meeting, then it’s back to writing as by that time I’ll absolutely be in the home stretch of the book, perhaps the final thirty pages or so if I’m figuring correctly. Someone will drop something off around two-thirty, but I’m just staying put and writing. Saturday, I have a three-hour or so rehearsal for the upcoming concert, then I’ll write, then I have an early dinner thing. I’ll either be finished with the book by that time, or I’ll finish it on Sunday, at least that’s how it looks at this time. Well, dear readers, I must take the day, I must do the things I do, I must, for example, hopefully print out a LOT of orders, I must futz and finesse, write new pages, hopefully pick up some packages, eat, get a haircut, write, relax, write, and relax. Today’s topic of discussion: What are your favorite anthology movies? Let’s have loads of lovely postings, shall we, whilst I hit the road to dreamland, happy to announce the first Kritzerland release of 2019 – and may there be many to follow.